Learn about the differences between the different types of available 3D modelling CAD software (solid modelling, surface modelling and sculpting) and choose the right tool for your application. 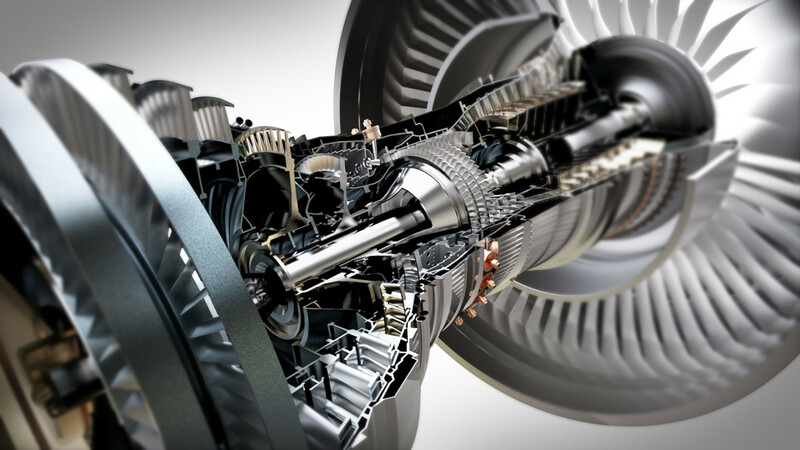 3D modeling or CAD (Computer Aided Design) allows engineers and designers to build realistic computer models of parts and assemblies. These models can be then 3D Printed or CNC machined as well as used to run complex simulations. A wide range of parameters can be simulated such as strength or temperature resistance before any physical models have been created, enabling a much faster and cheaper workflow. Solid modeling creates solid 3d models as if they are actual parts, with a logical workflow which is similar to the processes which would be used to manufacture the part. Some of these operations include extruding, drilling and threading operations. Solid models can intersect, join and subtract objects from one another to create the desired part. Another advantage of solid modeling is that it is usually parametric, meaning that changes, or parameters are saved at every stage of the modeling processes and can be edited at any time during the design. This is very useful as it allows features of the model to be quickly modified without needing to create the part from scratch. Assembly modeling is also an important stage in solid modeling, allowing individual parts to be assembled together, forming complex models. Assemblies can be used to insert standard components such as fasteners or bearings, that have been downloaded directly from the manufacturers. Motion elements can also be applied to assemblies, allowing detailed motion analysis to be used to evaluate the mechanical performance of the design. Surface modeling is usually used for more aesthetic features of a product. It is much easier to create more organic and free-form geometry using this type of CAD software. Many of the constraints found in solid modeling are not an issue with surface modeling, however, this comes at a cost of sometimes being less accurate. As the name suggests surface modeling only contains surfaces of the part, with no solid interior. However, once the part has enough surfaces to close the part, it can be filled and then used for 3D printing. When developing designs using surface modeling, it can be hard to go back and make changes because usually it is not parametric. Each type of modeling software has benefits and drawbacks, depending on the type of design being produced this needs to be considered. 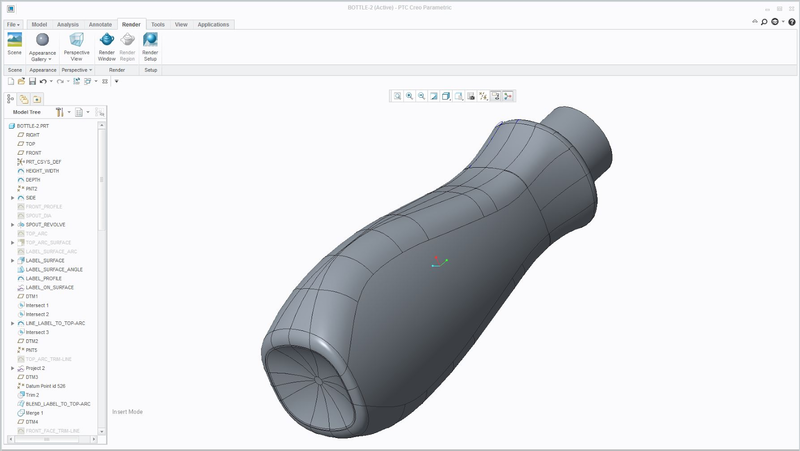 Sometimes using both solid and surface modeling is needed to combine the benefits of each. Sculpting or organic modeling, is mainly used for creating freeform surfaces with intricate details such as characters, jewelry or organic shapes found in nature such as trees or rock formations. 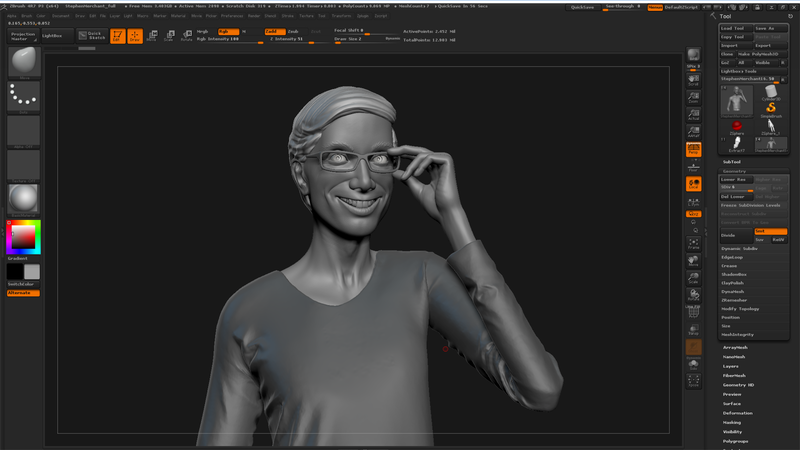 Sculpting software packages such as Pixologic’s ZBrush or Autodesk’s Mudbox were designed with classical sculpting in mind. They allow digital sculptors to start from a simulated ball of clay and use a pressure sensitive drawing tablet or monitor to manipulate their object with brushes that reflect classic sculpting tools such as a small rake or thumbs to move, add or remove material from their object. Using these tools, artists create sculptures that consist out of tens of millions of polygons that capture all the intricate details of a character’s face in order for these to come alive in big budget movie productions. A wide range of CAD software exists with different packages available for a number of different industries. The most common of these are presented in Table 1. Table 1 – Common industry CAD software programs. All of the CAD programs shown in Table 1 are able to output STL or OBJ files for 3D printing or STEP and IGES for CNC manufacturing. A survey sent out by 3D Hubs to over 750 professional customers asked designers and engineers which CAD software they are currently using. The results ares presented in Figure 5 and Figure 6. Figure 5 – Survey results on CAD software used by engineers. Figure 6 – Survey results on CAD software used by designers. 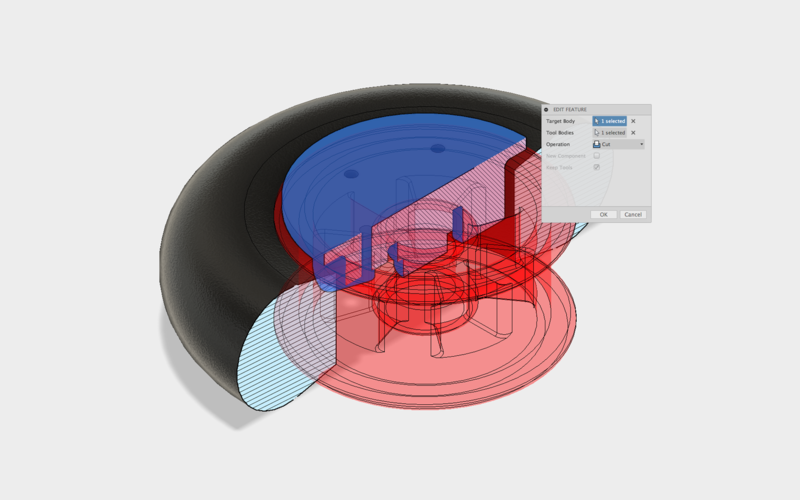 The survey found that the majority of engineers and designers use Solidworks for CAD design. Engineers then preferred AutoCAD, Inventor, and Fusion 360 (the only free professional CAD software package on the list) while Rhino proved to be the second most popular modeling tool for designers. As an interesting note, Rhino did not appear on the list for engineers even though it ranked highly for designers. 3D printing specialist working at 3D Hubs. Learn about the benefits and current state-of-the-art of 3D printing simulations. This article describes why, what and how to use simulations in 3D printing and gives tips to help you get started.